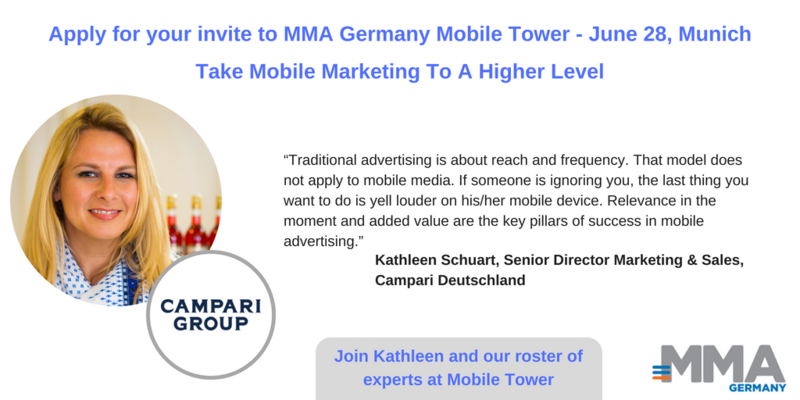 Kathleen is just one of our roster of esteemed speakers and guests at Mobile Tower, our invite-only event that offers a select group of businesses and brands the unique opportunity to listen and learn about the role of mobile data in campaigns. 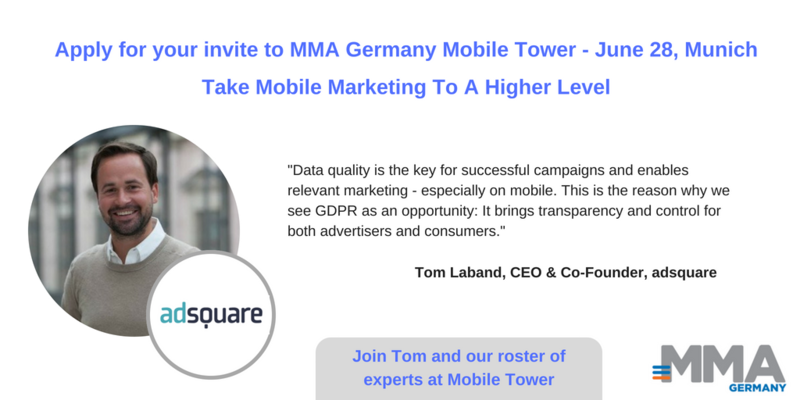 Join our select group of businesses and brands and take the opportunity to listen and learn about the role of mobile data in campaigns. 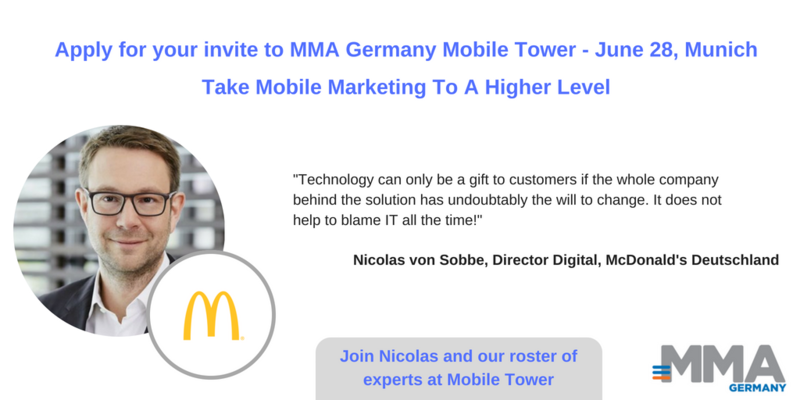 Apply for your invite and join Kathleen and executives from brands including adsquare, DriveNow, McDonald’s, Sky Deutschland, Telefónica NEXT and Wetter.com to share learnings and knowledge in an exclusive venue located on the 37th floor of the Munich headquarters of Telefonica NEXT. Engaging audiences at scale requires timely, accurate and contextually-aware data. Above all, it requires consumer consent. 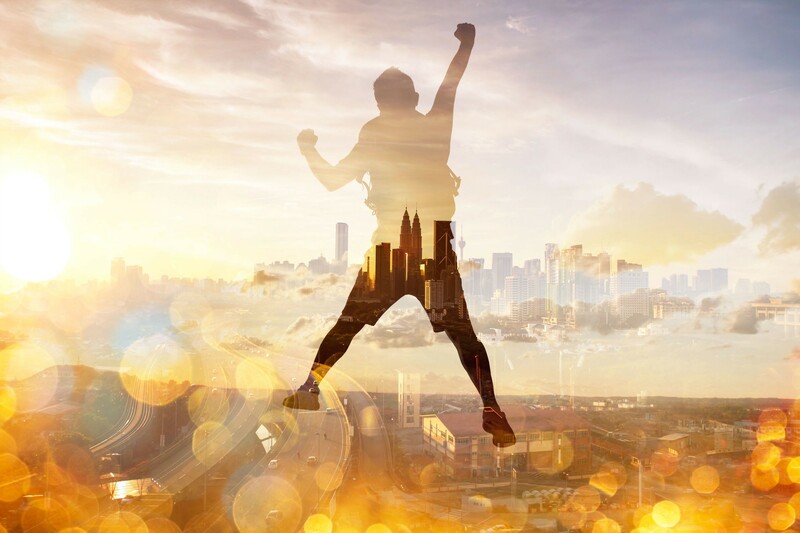 As such, it demands marketers demonstrate their respect for personal privacy to deliver advertising that is personal, relevant and — above all — appropriate. It can be a difficult balancing act, which is why we have surveyed our speakers and members for their insights and advice. 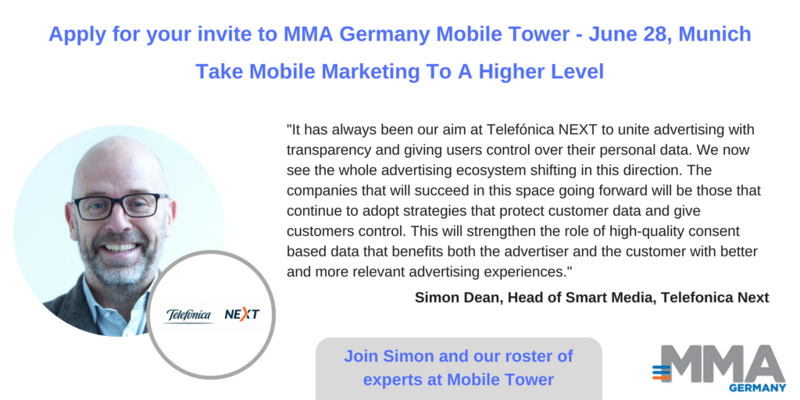 Join us to share learnings and knowledge in an exclusive venue located on the 37th floor of the Munich headquarters of Telefonica NEXT (MMA Germany board member). 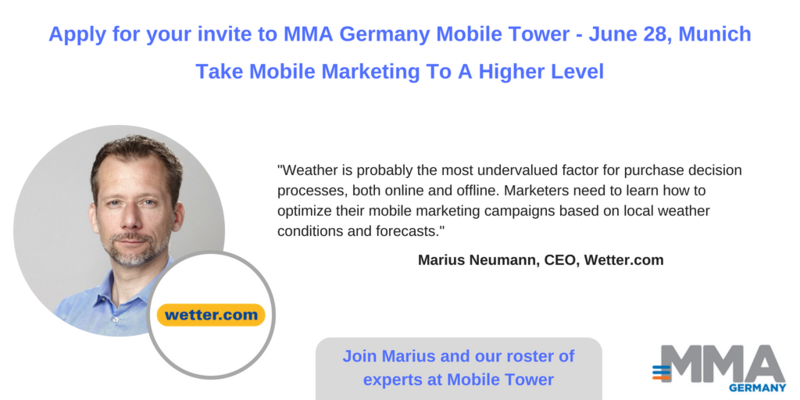 From this location, you can enjoy a breathtaking view of the beautiful city of Munich and discuss strategies to add relevance and value to mobile advertising.